If you're a fan of smartwatches coated with precious stones and minerals, then you’ll probably like Samsung’s limited edition Gear S2, made in collaboration with Swiss Jeweller de Grisogono. Unveiled at Baselworld 2016, the world’s largest watch and jewelry show, every part of this luxury - if slightly ostentatious - device is created from the most expensive materials. The 41mm case is made of rose gold and black DLC-coated stainless steel, and is set with over 100 white and black diamonds. Of course, no mere regular watch strap would be suitable for a device such as this one, only a black strap made from de Grisogono’s signature galuchat skin will do. Under all this jewelry lies a standard, Tizen-powered Gear S2, so you’ll get the same rotating bezel, heart rate monitor, and other features from the version that isn’t encrusted with gold and diamonds. It also comes with a couple of exclusive faces designed by de Grisogono that resemble some of its traditional watches. A few years ago, Samsung announced that it was teaming up with Swarovski to produce special editions of the Korean giant's products. Swarovski for Samsung resulted in luxury versions of the Note 4, Gear S, Galaxy S5, and Gear Fit. 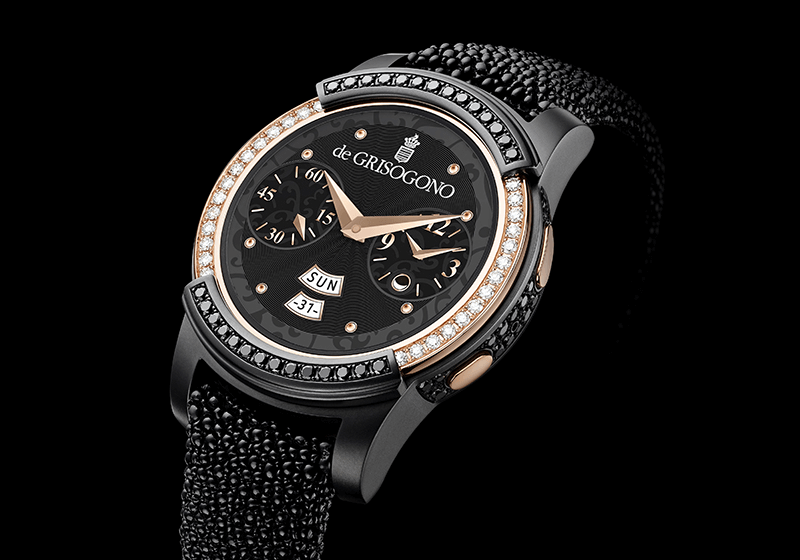 The Samsung Gear S2 by de Grisogono will be available this summer through both companies' retail channels. There’s no word on how much it will cost, but expect it to be very, very expensive.